The so-called Repatriation Law, which President Dilma Rousseff signed into law Thursday, was received with some concern by law firms and with enthusiasm by wealth-advisory services of financial-service providers. The new act, still dependent on regulation by the Secretariat of Federal Revenue, allows taxpayers to regularize unreported funds they hold abroad by paying a 15% tax and a 15% fine. Lawyers say that the law may offer risks and leave those who think of joining the program in a complicated situation. They say the rule doesn’t ensure that taxpayers will be free from having their bank secrecy lifted, from continuing under investigations and from being held accountable of crimes. Despite the alleged risks of joining the program, the option of not declaring the funds abroad is also dangerous, because of the international agreements that allow tax authorities of different nations to exchange data. With the implementation of rules of the US Foreign Account Tax Compliance Act and the possibility, in the next two years, that data be automatically exchanged among several countries because of the Common Reporting Standard developed by the OECD, it will be increasingly difficult to maintain funds abroad far from oversight. For wealth-management services, the subject of reporting funds abroad is no longer a taboo. “It is an instrument with important legal security. 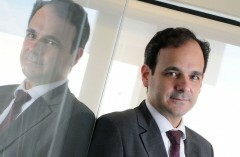 We are at ease about that,” says William Heuseler, of Itaú’s private-banking unit. “In our opinion there is no doubt that people should use this opportunity to regularize their funds,” he adds. “The consensus is that the law is well-written, it doesn’t have many flaws,” says Beny Podlubny, wealth manager at XP Investimentos. Asset managers expect the regularization to increase activity in the Brazilian wealth-management market. For investors to bring the money to the country, the law demands the intermediation of a financial institution authorized to operate in the country and trade currencies. The Repatriation Law, or no. 13,254, institutes the Special Regime of Currency and Tax Regularization (RERCT) and offers individuals and businesses the possibility of regularizing unreported assets of legal origin held abroad. It frees taxpayers from answering to seven types of crime: tax and welfare evasion, misrepresentation, use of false document for those ends, unreported remittance of currency, maintenance of unreported deposits abroad and money laundering — as long as the money comes from one of the previously mentioned offenses. Criminal lawyer Rogério Taffarello says the amnesty encompasses the main crimes that these processes can involve. However, the crimes of misrepresentation and false documentation necessary for unreported remittance of currency are excluded, which may cause problems depending on the case. One of the biggest fears of lawyers is in the use of information from the program in potential probes, even if the law establishes amnesty. This is because the law, despite saying that such data can’t be used if the Federal Revenue denies the taxpayer’s participation in the repatriation program, there is a caveat in paragraph 2 of article 9. Criminal lawyer Fábio Tofic Simantob says that the rule doesn’t clarify which documental evidence that would be. “One person could have his investigation moved forward in consequence of a newspaper story, for example,” Mr. Simantob says. Another article that would bring this same insecurity is item I, paragraph 12, of article 4, according to which the statement of regularization can’t be, in any way, used “as only evidence or element for effects of investigative effort or criminal procedure.” For lawyer Dani Tangerino, partner of Trench, Rossi e Watanabe Advogados and professor of Criminal Law at the University of the State of Rio de Janeiro, there is a risk in the interpretation of “only evidence,” because it is not established which others can be used. Since the Public Ministry doesn’t need to disclose which path it took, in theory there is the risk that the statement reporting the funds can be used not explicitly, but as starting point. “The danger is for them to investigate or find a creative arrangement to justify the investigation,” Mr. Tangerino says. The Federal Public Ministry was one of the main opponents in Congress to the passage of the proposal. “These laws are not the best way to solve the problem by allowing the repatriation of assets in exchange of pardon to crimes committed,” says Mr. Silva, the deputy secretary of international cooperation. He says the prosecutor-general may still evaluate whether to question the rule at the Federal Supreme Court (STF). Tax lawyer Edison Fernandes, with Fernandes, Figueiredo, Françoso Petros Advogados, says there are clients fearing joining because of the risk of the law being questioned at the Supreme Court. “I have clients who don’t trust and are not likely to do the repatriation for fear of answering criminally, in case the law is overturned,” Mr. Fernandes says. In the consultations it received on the issue, tax lawyer Igor Mauler Santiago, partner of Sacha Calmon Misabel Derzi Consultores e Advogados, recommended clients not to regularize their funds held abroad. “It depends on the concrete situation,” he says. According to the lawyer, people interested on the benefit must recall what situation gave origin to the money taken abroad and think whether there are other taxes that are not included in the law and that were not paid, such as state and municipal taxes. This entry was posted on January 18, 2016 at 21:42 and is filed under Public Finances, waldemarjezler. You can follow any responses to this entry through the RSS 2.0 feed. You can leave a response, or trackback from your own site.